Above: Karol Tarnowski supervising field work. The relations between the manor and the village were complicated, depending on many factors and differing between the regions. In the east the relations were patriarchal, whereas in Greater Poland they were more based on partnership. In the eastern frontier of Poland (Kresy Wschodnie), the manor was an oasis of Polishness, surrounded by the Orthodox population. That caused ethnic tensions and antagonisms, which became visible after the outbreak of World War II when manors were plundered and burned. The manor strongly depended on the village as it needed many workers to run its estate. It was also the most important employer in the area. 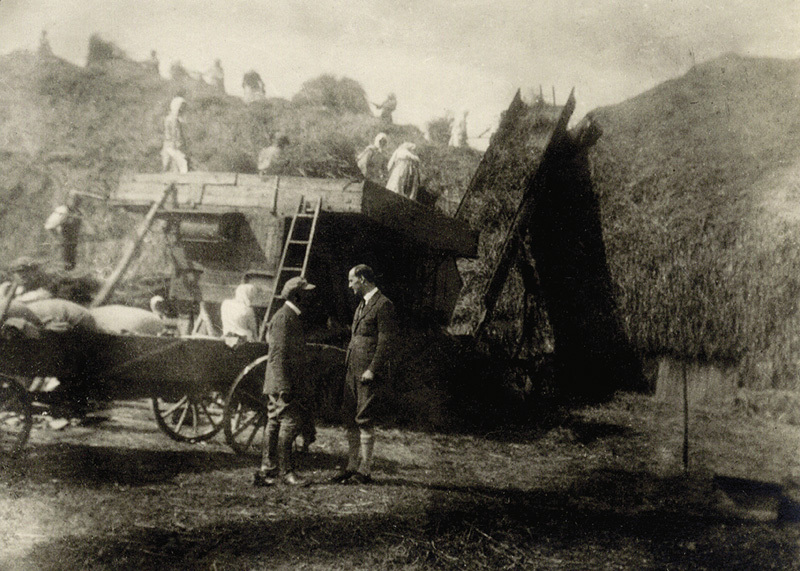 The relations between the manor and the village were characterised by a certain dichotomy: the landowner participated in the life of the rural population and lent support to many events, but here were no social relations whatsoever between those two groups, which were two separate worlds functioning beside each other.